Misc. One of the most common swamp hardwoods and the only species of maple commonly encountered in South Jersey. 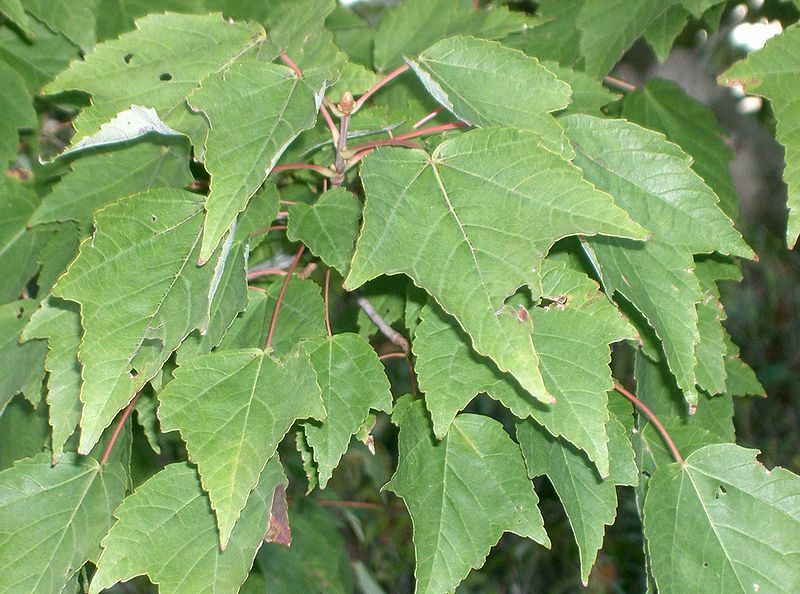 Distinguished from other maples by its small-lobed leaves, the lobes angled. The first tree to bloom, the tiny yellow to red flowers appear in March. Is used as a lumber product. Seeds are eaten by squirrels and birds. However it is not preferred by deer so in heavily populated deer areas the species may outcompete other species.